A ride on the President’s Marine One helicopter is made possible through our client Sikorsky Aircraft Corporation, a leading U.S. manufacturer of helicopters and other aircraft. 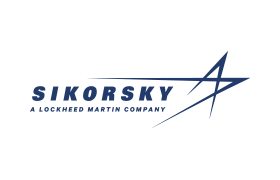 Each year, Sikorsky hosts an Advocacy “Fly-In” conference for its suppliers that includes an opening reception, orientation sessions and meetings with Congressional representatives. The conference regularly attracts approximately 600 participants. Since 2011, we have handled supplier invitations, registration and development of collateral materials for the conference, plus assisted participants with the process of arranging appointments on Capitol Hill. Because of the dynamic nature of these events, we continually update Sikorsky with registration numbers and demographics, as well as expedite the process of revising and reprinting collateral materials.